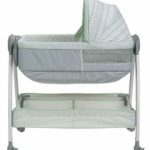 How to Choose the Perfect Bassinet? I am pretty sure of that you have been eagerly looking for the best bassinet for your baby. If so then you are in the very right place to pick a perfect bassinet within next 5-7 minutes! Here I have tried to help you to choose the best newborn bassinet by suggesting 10 top bassinets in the market. I made the list considering both quality and price. So that you can have an under budget or cheap bassinet. By definition, bassinets are small, cozy and safe sleeping space for babies from birth to four months. Available in variations of material and size, they could be fix or portable. New moms often wonder if bassinets are of any use to them and if they are safe for the newborn? It is definitely one of the first few essential buys for the baby as the newborns sleep a lot and they need a comfy, sturdy space that's as cozy as the womb. With the small and compact size, bassinets are that space. According to Consumer Product Safety Commission, a bassinet should have made of sturdy material. It should have breathable space, soft but flat and fix mattress and perfectly sized sheet. Many bassinets include a canopy, wheels and a storage space to keep baby's diapers and changing clothes within your arm's reach. When do you need a bassinet? That's the most obvious question most parents ask. Well, bassinets have a short usage period that lasts until the first four or five months from birth. It is because bassinets are small, portable, cozy and aren't as deep as cribs. According to experts, bassinets are good for the initial months since they have a sturdy construction with a baby-safe material, thus reduce the risk of SIDS while co-sleeping. Moreover, the small and comfy space in a bassinet resembles that snugly space of the womb and thus makes it easier for newborns to feel comfortable and safe. A bassinet can also make those middle-of-the-night nursing sessions more manageable. You can quickly reach over to your baby without leaving the room or even your bed. You should choose a bassinet especially if you are recovering from difficult birth or a cesarean delivery and have limited mobility. You don't need to bend too low to put or pick up your baby, thus there will be no chances of any imbalance during transiting the baby. If the bassinet is positioned at the same height as your bed, you can keep it in arm's reach so that you can touch the baby and both of you can rest assured that everything is fine. This will also help in making a stronger bond that is otherwise not possible in a crib. Top 10 Best Bassinets for Baby : Which One Suits Your Baby? In the below baby bassinets reviews, you will find gender neutral products so that you don't have to do google like baby girl/boy bassinet. I hope these will also bring a joyous and charming tone to your home. 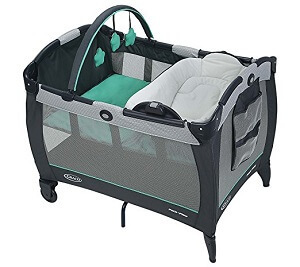 Graco presents this perfect bassinet for baby to catch a nap no matter where you are, on family occasion, or on vacation, or even just to the other room of the house. Your baby can always have a familiar comfy place to rest and you can continue enjoying your time. Playpen Changing Station with many changing possibility. 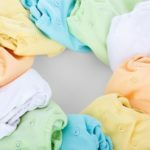 Changing table’s wipe clean fabrics make clean up easy. Canopy blocks light and offers a smooth shade from the light that helps the baby sleeping. Graco’s signature push-button folding ensures easy, quick and hassle-fee closing of the playard. The automatically folding wheels and feet make it amazingly compact when folded. Compact fold is designed to make it easy to pack and store. Convenient Carrying bag for no-fuss travel and storage. Durable frame makes it perfectly suited for packing into the car for family road trip. Equipped with a toy bar with soft toys to entertain your little one and help with visual stimulation. Mesh wall on all sides ensures maximum ventilation. Made of Polyester, plastic and metal. You need not battery. So no tension about battery charge or recharge. Can be cleaned with household soap and warm water. Carry bag is machine washable in lukewarm water. After the analysis of the features, presentation and benefits in a nutshell we can conclude the Graco Pack N Play Playard Bassinet with Automatic Folding Feet reviews with the following pros & cons table. Automatically folding wheels and feet. Includes a toy bar with soft toys. Easy to pack and store. Maximum ventilation by mesh side walls. Canopy blocks light offering a smooth shade. Not suitable for babies over 15 Pounds. Sand may damage top rail lock. 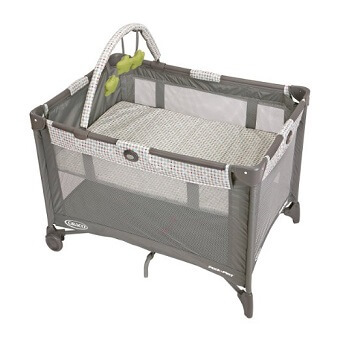 This is suitable for babies under 15 Pounds, unable to push up on hands and knees; the playard is for children less than 35 inches tall and unable to climb out. I assume, this could be the best baby bassinet which is made especially to stand up to whatever travel plans you have. Your little one will have sweet dreams and comfy surroundings anywhere with Graco Pack N Play Playard Bassinet with Automatic Folding Feet, Pasadena. You will love how it is so easy to incorporate into your family. If you have a baby who refuses to sleep flat on their back or, with reflux or, simply struggle to sleep in general, then this one is a game-changer. This sleeper is smart solution for the babies who frequently wake up mid-nap. Fyi, this is one of the jpma certified bassinets. So you can rely on it. Inclined sleeper and playtime seat in one which is greatly convenient. Inclined seat of the sleeper helps your baby to rest and sleep all night long. Gentle push starts rocking the sleeper back and forth. Combination of vibration and rocking motion calm your baby which makes its the best rocking bassinet. Lightweight sleeper which is easy to carry anywhere and designed for portability. Compact fold enables easy storage anywhere from a closet to a corner of the room. Safe and secure containing three point restraint and linkable tether. Fabrics and covers are machine washable and dryer safe. Soft fabric keeps your baby comfortable. Supportive seat back helps to keep your baby elevated. Smart solution for babies who are suffering from reflux problems. Battery is needed which has 60 hours of battery life. Suitable for newborn who weight more than 10 lbs and less than 100 lbs. This product's calming vibrations setting is soft and soothing enough to help the baby getting a sound sleep without any interruption. After all these analysis of the features, usefulness and design in a nutshell we can conclude the following pros & cons table. Contains three point restraint and link able tether. Machine washable and dryer safe fabrics. Supportive seat to keep baby elevated. Battery is needed for function. A research ﻿﻿says tha﻿﻿t Young babies often tend to startle themselves awake mid-nap in the early months. 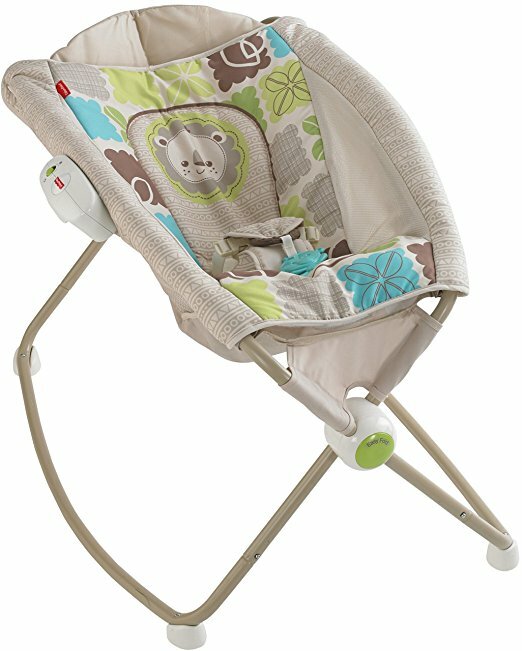 The Fisher Price Newborn Rock ’n Play Sleeper, Rainforest Friends is designed to gently rock him back to sleep. This compact sleeper with useful features greatly helps the children who have trouble getting uninterrupted sleep. The brand is renowned in the market for their convenient and signature features. Graco Pack ’n Play Playard with Reversible Napper & Changer is the only playard designed to meet your child’s need as he grows from a newborn to a toddler while providing you with easy access. Switch from napper to changer by simple push and lift motion. Sturdy secure attachment: Enables repeated switching between the napper and the changer. Graco’s signature push-button folding: Enables easy, quick and hassle-fee closing of the playard. The napper station is slightly sloped and the changing pad is flat with a plastic surface. Simple to flip with one hand. Readily available napper and changer. Folds up super-fast making it great for travelling. Convenient carrying bag: Provides no-fuss travel and storage. Removable full sized bassinet for napping. Removable Toy Bar: Comes with 2 soft toys floating overhead for visual interest of the baby. ​Mesh wall on all sides: Provides maximum ventilation and comfort. After the analysis of the features and benefits, we can conclude the Graco Pack ’n Play Playard with Reversible Napper & Changer reviews with the following pros & cons table. Easily converted into a play yard. Easy flipping from napper to changer by one hand. Mesh wall provides great airflow. Easy to clean and comfortable fabric. Napper is not suitable after the age of 3 months. Play yard is not suitable for babies more than 35 inches tall. This beautifully styled product provides your baby a cozy and familiar place to rest and play anytime anywhere. The soft fabric cuddles baby for naps and resists messes for change. It multitasks for baby’s comfort and your convenience. You can enjoy your time watching your child giggle and laugh. It is a cozy portable bassinet which presents with a simple design yet greatly useful. The brand is quite well known among the parents for the comfort and convenience it offers. Fisher Price Rock ’n Play Portable Bassinet is another addition which ensures a comfortable sleep environment for your baby. 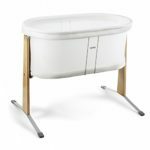 This Bassinet Includes A Mirror Which Can Keep Your Child Engaged. It Also Has Soft Toy For Playing! Flat or elevated sleeping surface. Simple push rocks the hammock gently to soothe baby to sleep without affecting the stability. Can stand without any wall support. Folding and unfolding need both hands. You can add more toys, if you want! Lightweight and easily folding capacity makes it portable from room to room or outside. Ideal height to use next to an average height bed. Good safety measure to avoid accident. Easily folding of the frame for storage. Designed to carry easily for traveling around. Light enough to push or pull according to your convenience. Transparent mesh side walls avoid any suffocation issue and ensures ventilation. Pad is machine washable and dryer safe. Easy assembly in less than 2 minutes. This is suitable For Babies Who Weight Less Than 25 Pounds And Unable To Push Up On Hands And Knees, Pull Up Or Sit Unassisted. After the analysis of the features, design and suitability in a nutshell we can conclude the Fisher Price Rock ’n Play Portable Bassinet reviews with the following pros & cons table. Twist and lock the feet for stationary use. Not suitable for babies more than 25 Pounds. The Fisher Price Rock ’n Play Portable Bassinet could be the suitable bassinet for newborns at home or on go. It includes various safety measures which help to avoid any accident. This gender neutral bassinet with gentle rocking action definitely wins the heart of the parents. This Travel Crib offers the perfect environment and comfortable place to your little one. It ensures proper sleeping at any time. The cushy fabric and mattress makes it snug and lenient. Its unique features and portability makes it usable at home, on vacation. Furthermore, you can also use it while attending family parties. This Bassinet Suits For The Newborns Whose Weight Is Less Than 20 Pounds. Its Snap-on metal legs allows easy assembling and disassemble. Besides, you can folded it within a while. It is designed as one-piece top structure. It increases its portability. To avoid sliding, the bassinet contains Anti-slip feet feature. You can deploy this bassinet quickly and easily to nap your baby anytime anywhere. This streamlined bassinet is sleek, lightweight and stable. The sturdy structure can endure stresses during traveling. For easy storage and hassle free travel, a matching carry bag is added to this product. .
For convenient transportation, it includes a nice shoulder strap. It contains dual side mesh panels. And this panels ensure proper ventilation and increase visibility of your baby. Therefore, baby remains both safe and comfortable. The Large brushed padded mattress ensures baby to rest and relax by creating a comfortable zone. Cleaning and removal of fabric parts are very easy. Fabrics remain intact even if you use machine for washing them. It is smaller than other bassinet. As a result you can save more spaces. You don't need battery or other external power source to operate it. After all these analysis of the features and usefulness in a nutshell we can conclude this review with the following ​points. Easy and simple top structure. Streamlined bassinet having better portability. Anti-slip feet resists it from sliding the bassinet. Heave and long lasting structure. The both side Mesh Panel walls ensure Proper ventilation and surveillance of the baby. Padded mattress assures pleasant feeling during sleep. Sits low to the ground. Not suitable for babies more than 20 Pounds. The Chicco Lullago Travel Crib is perfect for the traveler parents who always remain in movement . The fast and easy set-up feature very helpful during trips. The smaller size makes it convenient for carrying easily and keeping in small bedroom or kids room. This bassinet has maximum portability. It turned this bassinet to highly useful for travelling and easy storage facility. Additionally, the padded mattress ensures the sound sleep of your baby. May be you have also used comfortable padded mattress for a sound sleep. So it's your baby's turn to sleep on a sleep friendly bassinet. Therefore, go and grab the happiness for your infant! In early months of life, newborn baby often alternates between short periods of sleep and wakefulness. If you are looking a cradle for baby then BabyBjorn Cradle could be ideal for this period of time. This modern looking lightweight yet sturdy cradle is designed with many useful features to keep your baby comfortable and safe while sleeping or awake. It is suitable For Newborns Up To 6 Months Old Or, Weight Less Than 18 Pounds Or, Babies Who Can Sit Up, Kneel And Stand Unaided. Spring suspension system: Rocks smoothly in all directions without getting stuck in any position. Soft Music: Lulls your baby to sleep. Portability: Can be easily carried to any room of the house and can be moved from room to room due to its lightweight. Durable Foot Grips: These keep the cradle steady and prevent it from damaging your floor. Transparent Mesh Fabric Wall: Provides excellent airflow and secured supervision of your baby with no bars or loose parts to trap the tiny hands and feet. Height: Can be lined up perfectly next to the bed and leveled with it so that you can reach in and comfort your baby. Safe Tested Material: Completely harmless to baby’s delicate skin and to chew. Easy Cleaning: Covers can be simply unzipped, easily removed and machine washable. After all these analysis of the features and usefulness in a nutshell, we can conclude this Cradle with the following pros & cons table. Gently rock with soft music. Can be lined and leveled with the bed. Durable foot grips prevent damaging the floor. Fitted sheet can be added. Not suitable after the age of 6 months. Not suitable for babies more than 18 Pounds. Can Be folded into very small size when you are done using the cradle proving it to be compact and easy to store. The BabyBjorn Cradle is of great quality and solid construction. It is also known to be gender neutral. Parents can either let their baby’s movement gently move the cradle back and forth or can rock the cradle themselves. This cozy cradle with simple design is definitely worth the money. Are you looking for a safe and comfortable place for your kid? BRICA Fold N' Go Travel Bassinet can give your kid a sleeping environment anywhere and anyplace. It is extremely lightweight and suitable portable design makes it top the wish list of the moms who have to travel a lot. You can set it up or fold in seconds. You can put it anywhere you want. The carrying handles give more convenience. The locking frame and robust side walls give you safe strong yet comfortable breathable environment as the breathable fabrics are used with ventilated mesh panels. You will know that your baby is going to have a sound sleep with cozy mattress and fitted sheet. · The first thing about BRICA Fold N' Go Travel Bassinet is its slim design. It is lightweight and weighs less than three pounds. You can fold it flat easily and even put in your briefcase. The carrying handles make it easier to carry with you around anywhere you go. · The innovative design uses mesh style fabrics which are more breathable. The locking frame along with this gives better comfort. · The BRICA Fold N' Go has four point safe-t-lock system. So it is a safe, secured and perfect bassinet for breastfeeding. · The double locking cylindrical steel frame makes it more durable and robust. This Bassinet is extremely lightweight. It is suitable to carry around. It has a very slim design. It comes with comfortable mattress pad and fitted sheet. It has safety lock system. Well this is not a drawback, just a limitation, you can’t use this bassinet forever. As your kid grows old, you need to find a bigger place. This bassinet comes with a comfortable mattress pad and fitted sheet. Its removable, water-resistant mattress pad and fitted sheet set makes it more comfortable for your kid. Also, standard bassinet sheets will fit. Considering everything, BRICA Fold N' Go Travel Bassinet will be a good choice for your baby. Don’t have trouble with your baby’s sleep, grab one asap. The tagline of this bassinet is “Safer for baby. Easier for you” surely shows their concern about the safety and comfort of both the mothers and the babies. 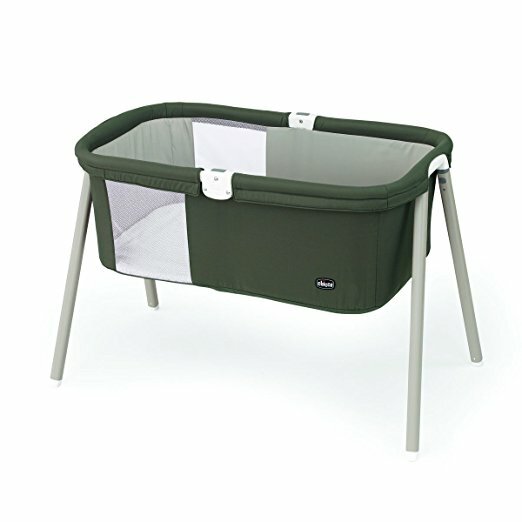 The bassinet includes unique features which endows the product with ultimate safety and convenience. 360 degrees Rotation: You can rotate this bassinet a full 360 degrees. It makes getting in and out of bed hassle-free. Besides, another version of this bassinet having the 360 degrees feature contains different color. And, This One Is Ideal For Those Mothers Who Underwent Restricted Mobility, Especially Who Has A Caesarian Section. Baby soothing system: To soothe your baby, this bassinet includes three lullaby, three natural sound, vibrations of two levels, one soft-glow night-light and a nursing timer. Separate area for the baby: Reduces the risks associated with bed-sharing. Lowering of the side walls: Allows you to easily tend to your baby’s needs while lying right in your bed. Auto Closures of the side walls: Confirms baby’s maximum safety and can be locked in upright position. Exclusive design: The design will keep your baby visible at your eye level. Adaptable Pillar: It has height adaptable pillar which helps fit in any situation. 4-pointed base: Tucking under the bed or keeping close to you makes easier. Mesh side panels: Ensures utmost breath-ability and prevent all kinds of possible suffocation. 2 storage pockets: To keep the essentials close by. Wash-ability: Fabric components are machine washable. 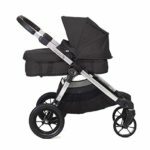 - Suitable for mothers with restricted mobility. - The flexible side wall provides Lowering and Auto-return feature. - Baby gets separate area for free movement. - Risk free bed sharing ability. - Stable and adjustable Base. - Easy to monitor and soothe. - This bassinet is not recommended for the babies older than 5 months. - 4-pointed base can lead to a tripping hazard. - It needs 3 AA batteries to function which makes in sometime expensive and user unfriendly. It gets immensely easy to monitor and take care of your baby with that bassinet. The heavy base supports the adjustable sturdy structure of this under budget bassinet while the baby sleeps soundly in it. It indeed offers wonderful convenience to the parents with all its features. 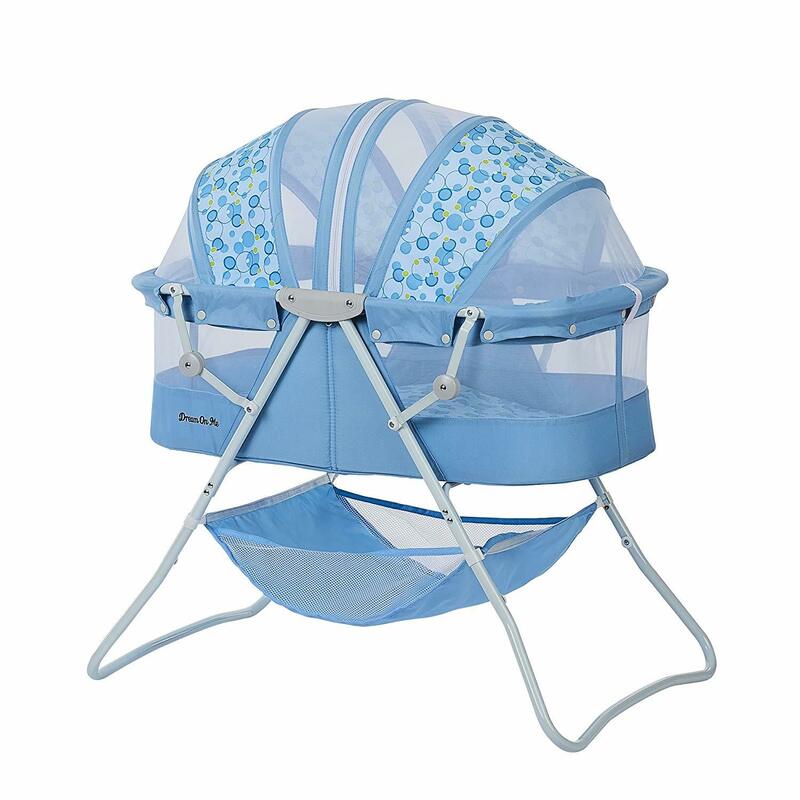 The Babyletto Bowery Bassinet is the perfect solution for you if you want to avoid plastic or baby style prints that most bassinets use to have. It is a simple yet modern designed bassinet which provides comfort to the baby and easy access to the parents. X cross and flat bottomed legs provide extra safety and stability reducing tripping hazard. Converts from bassinet to a spacious toy box once your baby rolls or sits in it. Toy box keeps your child’s precious toys and favorites together. Nicely finished with attractive warm rich expresso. Real wood gives it an unbeatable modern classy look. Easily assembled and screwed up for installation within minutes. Meets ASTM safety specifications for bassinets and cradles. Easy access to the baby to comfort and soothe them to sleep. Comes with a fitted pad. Eligible for free replacement parts. Wheels can be included at the bottom to easily roll from one room to another. Extra pad can be included for comfort of the baby. Product Dimension: 37.4 x 19.2 x 36.5 inches. After the analysis of the features, usefulness and design in a nutshell we can conclude the Babyletto Bowery Bassinet review with the following pros & cons table. X cross and flat bottomed legs. Converts from bassinet to a spacious toy box. Screwing up for the installation is needed. Made of sustainable New Zealand pine wood. Attractive warm rich expresso finish. Easy to monitor the baby. Wheels can be added for mobility. This gender neutral and superb wooden bassinet is ideal for your newborn baby to sleep safely nearby and cradled comfortably. The bassinet is very attractive yet quite inexpensive making it a good option for the parents to purchase. This classy looking baby-furniture also brings an elegant ambience to the house. It provides a sense of security and also delivers it on style. Delta Children's Sweet Beginnings Bassinet boasts are an adjustable canopy and an electronic music module with a nightlight and gentle vibration. This nice and cozy bassinet helps parents to develop healthy sleep habits right from the beginning. Delta Children was founded with the goal to make safe, high-quality cribs which will be affordable for all families. This gorgeous Delta Children Sweet Beginnings Bassinet, Falling Leaves features a neutral leaf pattern, as the name suggests. It also comes with elegant fabrics and a sleek profile. Plus, to give your kid best sleeping experience it has a nightlight and attached music module with pre-loaded lullabies. Delta Children Sweet Beginnings Bassinet, Falling Leaves is designed for infants up to 15 pounds. The structure is adjustable and has a removable canopy. It comes with Soothing nightlight and music; it offers your kid comfortable sleeping area like he/she had in the womb. The frame is made from Steel and polyester fiber pad fabric is machine washable. Dimensions: 33"L x 17"W x 45"W, so, spacious for the baby. Product weight is only 10.5 pounds; it is lightweight with wheels to move it from rooms to rooms. There is too large, section storage basket for all of the baby's essentials. This bassinet is eligible for free replacement parts. All you have to do is to contact Amazon Customer Service for more information. Machine washable fiber pad fabric. But it gets dirty easily. It is not enough sturdy. For first few months after your baby is born, they always want to have an environment similar to the womb. Otherwise, they don’t sleep. Considering these bassinets are ideal for creating an environment that will give your baby a helpful environment for sleeping. And Delta Children Sweet Beginning Bassinets are a good option for this. The Dream on Me Karley Bassinet in Light Blue color is made of a polyester foam fabric. This bassinet has a double canopy and sleeping pad. Also, it’s another feature is, it is lightweight and versatile. So, it can be moved easily and portable. This bassinet needs light assembly. It can be used for newborns weighing up to 25 pounds. This great looking soft Bassinet will help you to keep your newborn baby close to you. It will give your baby a nice and cozy place day and night. The soft and delicate fabric also with lace trim and adjustable canopy makes it top on the choice list. The bassinet is pretty durable and has locking swivel casters. So, you can move it from place to place. It’s a perfect accessory for busy moms and fathers who like a more mobile option. Dream on Me Karley Bassinet is made of a polyester foam fabric. So, it is comfortable and durable. It comes with a double canopy and sleeping pad. So, you can give your kid a good shed. It is Light in weight and has a versatile use. You can easily carry it to places. It can be used for newborns up to 25 pounds. So, don’t need to worry to get a new one soon enough. Dimensions: 35.5 inch x 18.3 inch x 47 inch, so, spacious enough. If folded shut, nice and compact design. Breathable mesh around the sides of the bassinet. Top of the bassinet can be zipped shut. Pretty design and relatively small size so, fits properly. The mattress has a weight limit of 10 pounds. That is a drawback. Also, the mattress that comes with it is a thin pad. If you put any pressure on it, you can clearly feel the wooden base under it. Probably you are having trouble with your newborn baby and its sleep. Then a bassinet can help you out. Babies are accustomed to the environment in the womb, but when they come out they also try to adjust themselves in a similar environment. If does not match their expectations, they will not comply. So, you have to create the world that suits their needs perfectly. Newborn babies are the most delicate and thus get mad easily about sleeping situation. We can fairly say that there is no parent in this world who does not know the exhausting game of baby shuffle while they are sleeping. Bassinets can be very valuable for you and your child to get rid of all these problems. That is why the process of choosing a great bassinet is quite important. Considering all the different sizes, shapes, colors, characteristics and features, these products have proved to be the best bassinet for newborn baby till the time. Thank you so much for coming by! My name is Margaret. I'm a full time mom and a passionate blogger! 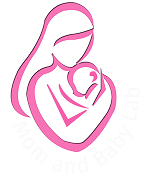 I love sharing my experiences and knowledge through this blog of the many things I have learned over the years while taking care of my beautiful babies. 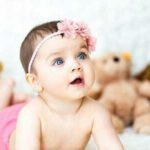 I welcome you to browse this site for useful tips and how-to articles on baby care! © 2018 by Mom and Baby Lab.